Steer Clear Of Masks. While masks are a fun part of many costumes, do your best to recreate the mask with face paint. Having a mask on can sometimes impair the vision of the child wearing it. 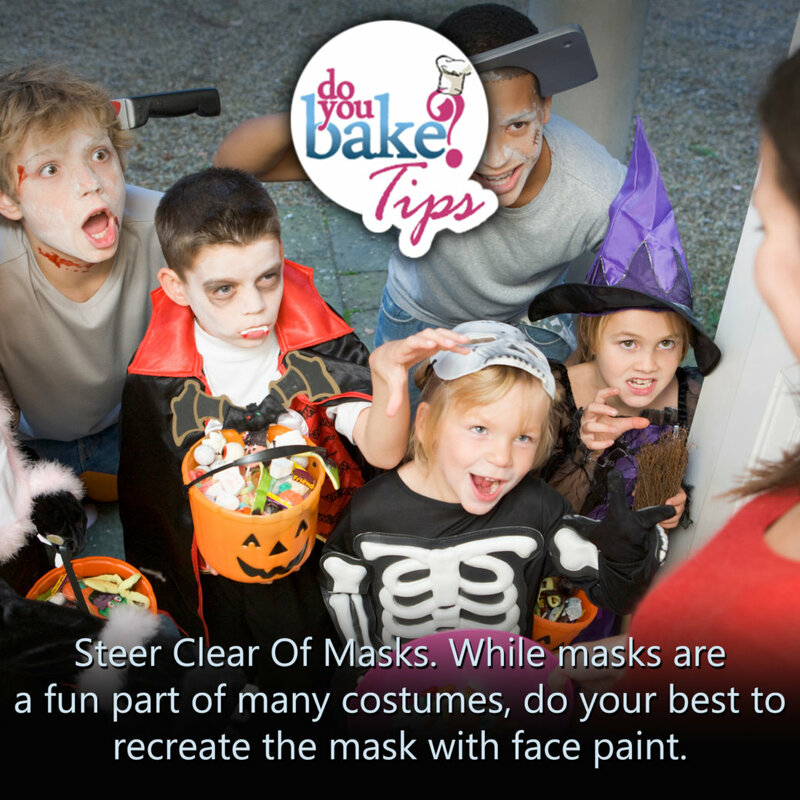 With face paint, it is easier for your child to see where they are going and they won’t have to lift their mask to have a conversation with a fellow trick or treater. If your child absolutely must wear a Halloween mask, make sure it’s a snug fit, is ventilated and has large enough eyeholes so they can see all around them.